Before you get too excited over the new phone from Android's founder, consider these pressing questions. Well, this week certainly got off to an interesting start -- didn't it? In case you're just waking up from a holiday weekend hangover, Andy Rubin -- aka the "father of Android," the guy who co-created the platform and then headed up its development at Google until 2013 -- is back in the spotlight and ready to sell you on his shiny new company. Its first official product? Drumroll, please: It's a phone. An Android phone, in fact. The company is called Essential, and the phone is (oh yes) the Essential Phone. At first glance, the device seems custom-tailored to catch the attention of Android enthusiasts. It's made by the frickin' founder of Android, of course. But beyond that, it's being presented with a strong focus on craftsmanship and the utmost "premium" quality (the phone's made of titanium, for cryin' out loud). It doesn't have a single logo or hint of branding on its exterior. And it provides a "pure" Android interface without any bloatware or superfluous customizations -- aside from an apparent bit of sorcery that lets the status bar function with a U-shaped cutout in its center. The front-facing-camera cutout -- the "flat tire" of smartphone displays? Rubin's new baby also has its own ecosystem of simple snap-on accessories -- a 360-degree camera and a charging dock, to start -- but that almost seems beside the point. 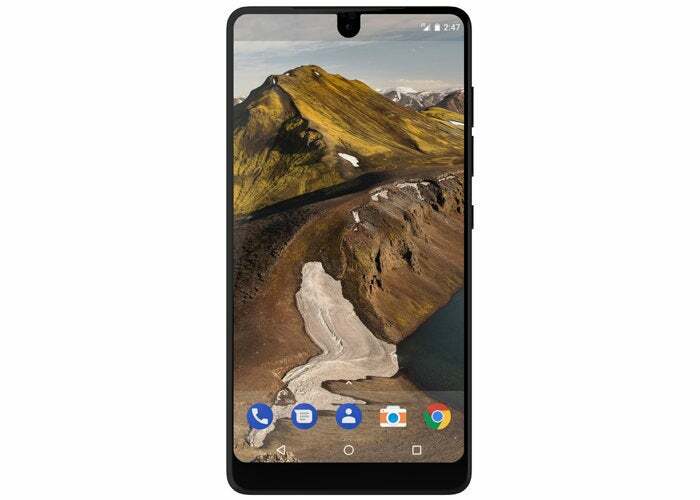 The Essential Phone is being positioned as the phone for discerning technophiles -- folks who want the best tech imaginable and are willing to pay for the privilege. Oh, and about that: The Essential Phone costs 700 smackaroos (U.S. only, for now). Take it or leave it. Say what you will about the price, but there's something undeniably intriguing about the Essential Phone and its unusual selling points within the high-end Android phone realm. There's also, however, a lot about the device that we simply don't know -- and some of that information is pretty darn important. 1. When will the Essential Phone actually be available -- and why is that info so vague as of now? Perhaps the weirdest thing about the Essential Phone's debut is that there's absolutely no specific information about when the thing will be available to buy. Essential's website offers no further guidance on when the phone might be available other than to say additional info will be provided at some "later date." A story published in Wired (which features interviews with Rubin and other members of the Essential team) suggests the device is "expected later this summer," but even that seems oddly noncommittal. In an interview at the Code Conference Tuesday night, meanwhile, Rubin mostly dodged a question about the phone's specific ship date. He first said only that it would ship "soon" -- then tactfully added that he wouldn't take reservations if he didn't think the phone would ship in "30 days or so." So why is Essential announcing the product today, taking the names of those who might be interested, but not actually taking anyone's money or saying when they'll be ready to deliver a physical product? When we see this sort of thing happen at tech trade shows, especially from a startup, the unspoken explanation is often painfully obvious to industry-watchers: The company genuinely doesn't know if or when it'll ship its product, and it's trying to gauge interest and/or attract potential new partnerships that might help bring its wares to market (think retailers, carriers, and other distributors as well as companies that might be able to assist with supply, production, and so on). Is that what's happening here? Is Essential essentially just testing the waters, at least to some degree? Or if not, why is it putting in the effort to promote its product today when it doesn't have a concrete window for shipping and isn't even prepared to take proper preorders? The truth is that we don't know -- and that's something to think about. 2. 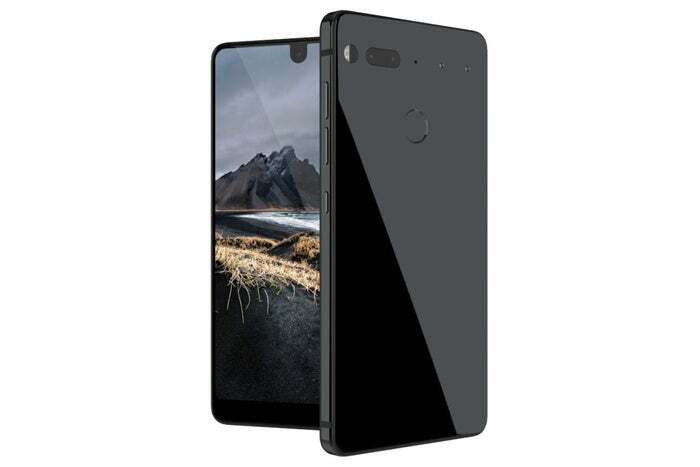 How does Essential expect to actually sell this thing with any amount of scale? Now, Essential's team will tell you that the company's very business depends upon the fact that it isn't manufacturing on any grand level. (As the company's head of product architecture put it in Wired: "We’ve gone after technologies and methods of manufacturing that aren’t designed to support 50 million devices.") That's a fair enough point. But again: This is a business. And if Essential is going to survive, it needs to sell a decent amount of devices. So is there any meaningful market within the U.S. for a $700 unlocked phone that people have to go out of their way to find and buy? Much as many of us here might like to say yes, history suggests otherwise. Generally speaking, it's only the budget-realm players that manage to thrive within America's unlocked-phone ecosystem. Rubin basically acknowledged this limitation during Tuesday's Code Conference interview, saying Essential was starting with web-only sales and would "probably make some announcements" about "both carriers and other retail distribution" channels soon. Right. Remember what we were just talking about in question #1? 3. What kind of support will Essential provide? Essential's website mentions the idea of devices "evolving" and not becoming outdated every year, but much of that spiel seems to revolve around the idea of the Essential Phone's snap-on accessories. So what's the story with the always-contentious subject of Android upgrades? Right now, Essential's making no promises or even mentions of its plans to provide updates to future Android releases (be they full OS updates, minor version bumps, or the more frequent monthly security patches). One might assume this company would make that area a priority, all considered -- but you shouldn't have to rely on assumptions when you're spending $700, especially on a phone ostensibly targeted at Android enthusiasts. As we've been reminded time and time again, software updates require a fair amount of resources -- and they often run counterproductive to most hardware manufacturers' interests. Getting them out quickly and reliably takes time, effort, and manpower. Will Essential have that available, and is it committed to providing it for the long haul? We also have to consider the other facets of post-sales support, particularly for a product that lacks any sort of physical storefront for interaction. If your device starts acting up, how easy will it be to get help? What kind of customer service experience will Essential provide for things like exchanges and returns? What about warranties? This is a small and untested company, and these are critical concerns for any potential customers. 4. Will there be any sort of enterprise angle? When it comes to mobile technology, the line between consumer and enterprise is increasingly blurry. People want to use phones they know and enjoy at work as much as they do in their own personal lives, and consequently, lots of popular consumer devices see strong demand on the enterprise front as well. With its apparent limited availability, will the Essential Phone be at all relevant for folks looking to buy for a business environment? For that matter, will the company be able to keep up with any significant amount of demand, even on the consumer front? 5. What's the ultimate end-game here? The Essential Phone runs Android, but Essential is also promoting a home assistant gadget that runs a custom operating system called Ambient OS. The info surrounding that device -- how it works, what exactly it does, when it'll ship -- is perhaps even more vague than what's known about the phone. Combined with everything else, this makes you realize how little we know about what Essential's really up to in any big-picture sense. Is the goal to create a long-lasting business that serves a small but devoted niche of smartphone shoppers? Is it to use the phone as a springboard for a broader A.I.-centric business goal? Or could it even be to create an effective prototype that generates enough buzz to result in an acquisition -- a merger with some larger player that'd provide the resources Essential might need to make a meaningful impact? Without Rubin's name attached, Essential would be difficult to take seriously. Truly, anything is possible. For context, compare this fledgling effort to the tale of Nextbit -- another buzz-generating smartphone startup with unusual ideas about how Android should be approached. That company was founded by former members of Google’s Android team and a former head of design at HTC. It had a grand vision for the future of phones, with an emphasis on both bold design and clever software that claimed to improve upon the standard Android foundation. It's hard not to wonder if Essential might have a similar aim in mind -- or maybe just a similar inevitability. And it's hard to deny that without Andy Rubin's name attached, Essential's vague announcement and impossible-seeming ambitions would be difficult to take seriously. I guess the ultimate question, then, is whether Rubin has what it takes to pull off the impossible -- again. I don't know about you, but I'm sure looking forward to finding out.